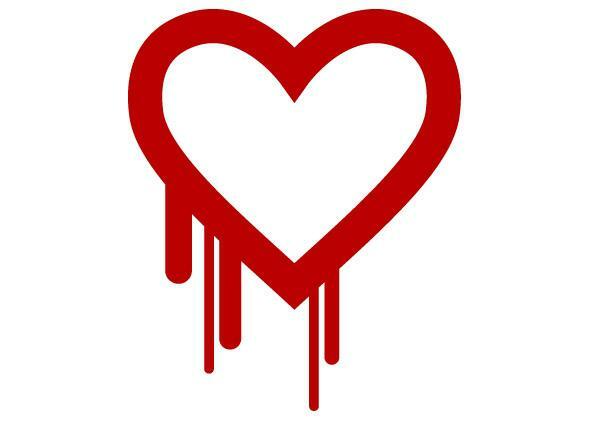 Heartbleed: OpenSSL encryption bug discovered by Codenomicon and Neel Mehta. The symbol of Heartbleed is simultaneously cartoonish and concerning. Researchers have disclosed a serious vulnerability in standard Web encryption software. Known as “Heartbleed,” the bug can give hackers access to personal data like credit card numbers, usernames, passwords, and, perhaps most importantly, cryptographic keys—which can allow hackers to impersonate or monitor a server. It didn’t affect sites like Google, Facebook, Twitter, or Dropbox, but Yahoo and even openssl.org were vulnerable. The vulnerability in encryption software OpenSSL was discovered by Google researcher Neel Mehta and the security firm Codenomicon. They gave the bug—officially known as CVE-2014-0160—the appropriately evocative and frightening name Heartbleed. Though Web encryption flaws come up regularly, Heartbleed is significant because of its reach, and the effort that will be required of IT administrators across the Internet to eradicate the bug. Users don’t have to download a patch or do anything in particular to protect themselves other than changing their account passwords if they know they use a service that was compromised. About half a million websites that use OpenSSL are currently vulnerable, according to the Internet security company Netcraft. On Heartbleed.com, a site set up to draw attention to the problem, Codenomicon writes that the vulnerability “allows attackers to eavesdrop on communications, steal data directly from the services and users and to impersonate services and users.” When Codenomicon purposely hacked its own servers, exploiting Heartbleed, the company was able to “steal” cryptographic keys, usernames, passwords, instant messages emails, documents, and other communications from itself. OpenSSL has already released an emergency patch for the bug, called Heartbeat. But the vulnerability is in fairly ubiquitous software around the Web, and it will take awhile for the patch to disseminate. A tool from SSL Labs, a repository of SSL documents and tools, allows you to check any URL for the OpenSSL vulnerability. It’s possible, though, that Heartbleed might not be as fatal as it seems. Adam Langley, a Google security expert who helped close the OpenSSL hole, said on Twitter that his testing didn’t reveal information as sensitive as secret keys. Nevertheless, admins are racing to patch the bug, and many sites that corrected the vulnerability will probably prompt their users to reset account passwords in the coming days. It may not be an apocalypse, but Heartbleed is a good reminder for everyone to change sensitive passwords regularly.